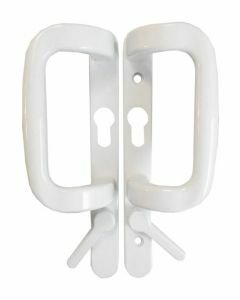 Patio door handles for inline sliding patio doors are usually operated with a handle lever that moves the patio lock hooks up and down the Upvc patio doors. Sliding patio door handles to repair Upvc inline patio doors, the handles are available in a variety of different styles and colours. 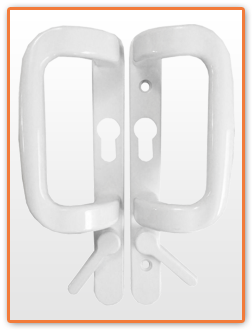 Patio door handles are usually operated with a handle lever that moves the patio lock hooks up and down the Upvc patio doors. Our range of inline patio door handles includes handles from Fhur, Mila, Millenco and Schlegal.